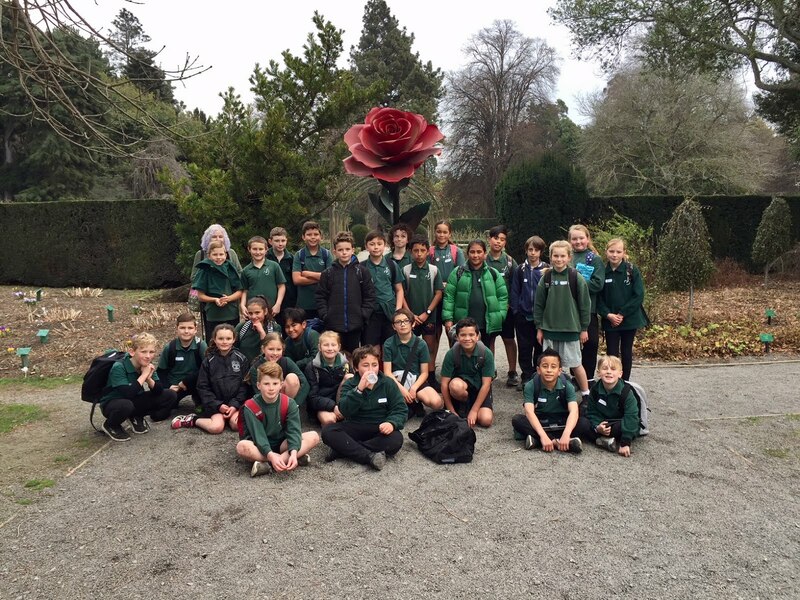 In the morning at 9:45 Koru 1 got on a bus a we started our trip to the Art Centre. First we went to the South Quad to have something to eat and then we looked at these bubbled shaped things and a lady came to speak to us. She taught us about them and said what the meaning was about them. The person who made them was Seung Yul Oh. He was trying to remind us about the big earthquake that and how we all connected to help each other. Then we walked into the Scape Public Art and made a little sculpture of the bubble type things and we used styrofoam balls and there were half one and all sorts of sizes. We used toothpicks to hold them together. When we had done as much as we could we got called up to take a photo with our models of the bubble things that we discovered. After that we had to demolish them so we could experience more with the styrofoam balls. We had a certain amount of time until we went into the Botanical gardens. When our time was up we walked out of the Arts Centre and we saw a statue of a man and Josie the instructor that helped us make the model things told us about the statue. Then we said goodbye to Josie and we headed off to the botanical gardens to have our lunch. When got into the gardens we saw heaps of interesting things and we went through Cunningham House. In there it was warm and we saw heaps of banana trees and there were signs saying where they were from. I saw one from Canary Island. Then when got out of there we straight to where Mrs Harris's group was eating. After we had a little play around we walked back to the Arts Centre and we met two different ladies and went to Rutherford's Den. We put our bags away and we got these black robe things on it felt like Hogwarts a little bit. Then we went into the other part Rutherford's Den to do an experiment with bubbles. First we got into groups of three and there were some groups of two and we experimented if we used a heart shaped bubble blower what shape would it be. We also had a piece of paper and we had a hypothesis on shapes of bubbles and we had to guess what colours there were and after all of that one of the instructors had a stick and some rope and she tried to make a massive bubble. Then we went back to our bags and said goodbye and returned to school on the bus. Back in class, we reflected on the day. People had lots of highlights and the behaviour of the class was amazing.